The best design. For the best performance We designed every aspect of the all-new MacBook Pro with performance in mind. The entire internal structure was built to house the very best high-performance components: all-flash storage, the latest quad-core processors, powerful discrete graphics, massive amounts of memory. Yet despite packing such an enormous amount of power into such a slim design, we still achieved an astonishing 7-hour battery life. Together, they make this MacBook Pro the world’s most advanced notebook. I had eagerly been awaiting the new Mid-2012 MacBook Pro upgrade primarily because of the move to the new Intel processor, “Ivy Bridge.” The 2.9GHz Intel Core i7 dual-core processor just makes this MacBook Pro fly. And it runs much cooler than its predecessors. I had my laptop running while on my lap for a couple hours and the bottom case was barely warm. Fan noise was not noticeable whatsoever. To be honest, I don’t even know if the fan was operating or not, it was that quiet. The aluminum unibody case has remained pretty much unchanged for several years. In fact, my previous MacBook Pro, a 2.4GHz Intel Core 2 Duo with 4GB of RAM has the identical case that this new laptop has… it is designated as Model No: A1278 if you look at the bottom of the laptop case. 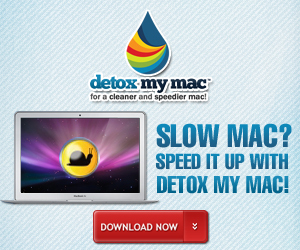 -The Retina Display MacBook lacks an optical drive. For me, that was a critical feature as I am a Mobile DJ and still rip a lot of CD’s to my computer. I did not want to have to carry around an external optical drive so having the internal optical drive on the new MacBook Pro was key. -The Retina Display MacBook does not have an Ethernet port. Again, this won’t affect all people, but for me it was an essential feature that I use all the time. I wasn’t ready to give up my dedicated ethernet connectivity port. -The Retina Display MacBook was priced out of my comfort zone. It’s a phenomenal computer but I just could not justify the price. -The Air doesn’t offer the disk space that I need nor the right combination of ports. Honestly, the display on the 13.3″ MacBook Pro is gorgeous. I can see where a photographer might enjoy the Retina Display, but for me, the 1280×800 resolution of the screen on this laptop is perfect. The display is bright, very bright, sharp and has excellent viewing from side to side. I’m a little conflicted with the glossy screen, but I think I have grudgingly accepted it for the most part. In most situations I find it nicer than a glare-free screen. For some situations however, it is not the best because of the reflections on the screen of surrounding lights and such. You must remember that while reducing glare on a screen might make it easier to view in certain situations by reducing reflections of light and surroundings, by its nature the anti-glare will reduce sharpness of the screen image. By having the glossy screen you have an amazingly bright, clear and sharp image that is just beautiful to view. I had also considered getting an early 2012 refurbished MacBook Pro. That was my second-best option. But for the small difference in price, I would not have gotten USB 3.0 ports and that was important to me, as well as getting Thunderbolt. Admittedly, there are not yet many peripherals that utilize Thunderbolt or USB 3.0 but that is certainly going to change quite rapidly. USB 3.0 is 10 times faster than USB 2.0 and offers throughput of up to 5Gbps. 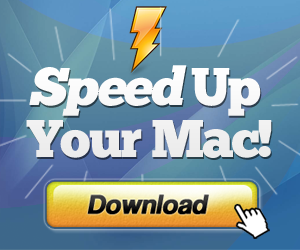 Thunderbolt is even faster and allows daisy-chaining of monitors and other devices. This new MacBook Pro also has an upgraded facetime camera. It is now 720p HD and that’s pretty awesome. Firewire 800 is still included on this MacBook Pro. Undoubtedly, Firewire is getting towards the end of its lifespan but many videographers are still using video cameras that use Firewire and I also have external hard drives using firewire, so this is still useful for me. The newly added Tunderbolt port is also useable as a mini-display port and you can easily obtain adapters to enable you to hook up to DVI, VAG and HDMI. I do miss not having a dedicated HDMI port, but at least it is possible to get an adapter to fill that need. The iLife suite of applicatons included with the computer are excellent. iPhoto, iMovie and GarageBand are tightly integrated and work well. There is room for improvement, to be sure, but I use iPhoto and iMovie all the time and it is an amazingly capable duo. This is not my first Mac computer, and certainly will not be my last. Before I begin, I will say that I am not like a good percentage of the people that will end up writing a review on this computer – I am not an Apple fanboy. I have owned many PC computers as well, and like them too. I currently own a Lenovo laptop as well as my new MacBook Pro, and each have their own strengths and weaknesses. 1. OSX Lion is a great performer..extremely fast and reliable. I have it installed on my iMac desktop computer as well and love it. 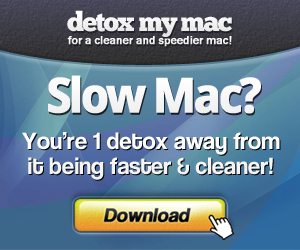 Not to mention this comes with a free upgrade to Mountain Lion, which is very nice. 2. Screen looks great. Even though it is not the Retina display you can get on the 15.4 inch model, the screen is fantastic. Very bright and crystal clear with excellent color. 3. Quietest laptop I have ever owned. Keeps quiet even when the computer is under a heavy load. 4. First computer I have owned with USB 3.0. I bought an external hard drive when I purchased this laptop as well so I could utilize the USB 3.0. I got the hard drive yesterday and transferred all of my files from my old laptop to the new hard drive so I could put them on my MacBook. It took about 1/5th of the time it did with USB 2.0. 5. My Lenovo laptop does not have an illuminated keyboard, so the keyboard on this laptop is a big plus in my opinion. Excellent for people that like to work or surf the web while their significant other is sleeping. 6. The trackpad – can’t even compare it to any trackpad I have seen on any other laptop computer. 7. Excellent battery life while being a very fast performer. It definitely has the best of both worlds. I average about 6 hours on a charge. My Lenovo (with similar graphics, processor, etc. and same use) only lasts about 4 or 5 hours on a full charge. 8. Typical Apple simplistic styling. I love the look of the Apple products. Simple and clean. 9. Many, many more…but those are the most notable ones to me. 1. The only thing I dislike about this laptop are the rubber pads found on the bottom of the computer for grip. They may get softer and more sticky as time goes by, but right now they are far from that. The pads on the bottom of my Lenovo are definitely much better and don’t allow the computer to slide around while I am using the computer on a glass topped desk. 2. Price – it’s a bit pricey for the performance you get, but the added perks of Mac OSX and the durability and support of Apple products makes up for it. For the same price, you can get a PC with more memory, larger hard drive, better graphics, and a faster processor, but then you remember you’re running Windows 7, which isn’t nearly as well built as Mac OSX. If you are thinking about getting a MacBook Pro laptop but do not want to spend a huge amount of money for one, this is definitely the way to go. It may be considered the “base model” MacBook Pro, but it still an excellent computer. The size and battery life of this computer makes it excellent for people that need a laptop that is very mobile. Between work and college classes, I needed a lightweight yet durable computer and this definitely fits that criteria. This past holiday season, I got an Asus tablet PC. I wanted to love it, I really did. I gave it a five star review here on Amazon, and I tried my very hardest to use it to it’s fullest potential. It was working fine for a while, until I tried the Windows 8 beta. It was all down-hill from there. Viruses, problems (beyond those that should be in a beta, and a general ugliness drove me absolutely insane, and I decided to move away from Windows, at least temporarily. I bought a Chromebook, and while I absolutely love it and highly recommend it, I wanted more out a computer than it offered. So, nearly on a whim, I bought a Mac. I have never made a better tech decision. Literally everything about it is better than any computer I’ve ever used, from the operating system to the hardware. People typically say that the real reason they love Macs and other Apple products is because of the build quality. While the build quality on this computer is INSANELY good (I feel bad hauling it around with me; I feel like it should be in an art museum), I really think it’s the software that makes this a standout computer and computing experience. I’ve had absolutely zero backround in OSx up until now, and already I am easily finding my way around this computer. Granted, I’ve had a good backround in Linux and OSx is similar, but the fact that I’m easily navigating a brand new operating system after only one day is quite the contrast from Windows, now that I can look at it objectively. OSx Lion is wonderful. The multi-touch gestures and the multi-touch mouse itself are immensely helpful, and it’s because of features like these that make it clear to me that it’s almost necessary for a company to make the hardware for a product if they’re making the software as well. Everything works extremely well together. Like I said, the included apps put Windows to shame. With the exception of Outlook (which I personally hate, but my Mom has a Mac and can’t stand the contacts App and uses Outlook), I can’t think of a single, rational person who would pick Windows software over Apple software when it comes to things like media, photo/video editing, and email. To be perfectly honest, it’s ridiculous how well all this stuff works. I downloaded the iWorks office suite (which is not free, though significantly cheaper than Microsoft Office), and they also work like a charm. I really don’t create a whole lot of spreadsheets or slide shows so I can’t guarantee a qualified opinion on Numbers (Excel) or Keynote (PowerPoint), but the Pages app is lightyears ahead of Microsoft Word. I also downloaded Logic Pro 9 (an music synthesizer/recording studio app) after having used it with friends a few months back, and have spent hours digging into another fantastic piece of Mac Software, and I can say for a fact that it is truly unparalleled in the Windows world. The actual hardware internals of the computer are amazing. The new Ivy Bridge processors whip through anything I can throw at them, and the 8 gb of fast (1600 mhz) ram makes multi-tasking a breeze. The nVidia graphics card, while not a show-stopper, is completely adequate for some heavy-duty video editing in something like Final Cut or Photo Shop (though I haven’t used Photo Shop in about a year now, so I’m not COMPLETELY sure about the latter of the two statements), or gaming (whether you dual-boot or pick one of the games from the increasingly impressive OSx catalogue). The speakers, while not mind-blowing, are much better than what I’m used to from integrated laptop speakers, and the screen, even though I opted for the non-HD screen, is very good; colors are bright and saturated, the pixel density is more than satisfactory, and the viewing angles are some of the best I’ve ever seen. Battery life is as good as advertised, and the computer starts and runs much more quickly than I’m used to, especially considering that this computer doesn’t have flash storage. I haven’t run into a single thing I would change about this computer up to this point. I love the software, I love the hardware, and I love my decision. If you’re in the market for an exceptional, powerful notebook, look no further. I can’t recommend this computer highly enough. Edit: While the great things that I mentioned about OSx are all still completely viable and even after several weeks (months, perhaps?) of heavy usage I haven’t experienced any problems. Mountain Lion is a great update and even though I don’t own an iPhone or an iPad (I’m more of an android guy), I still like almost all of the additions it brings to OSx.